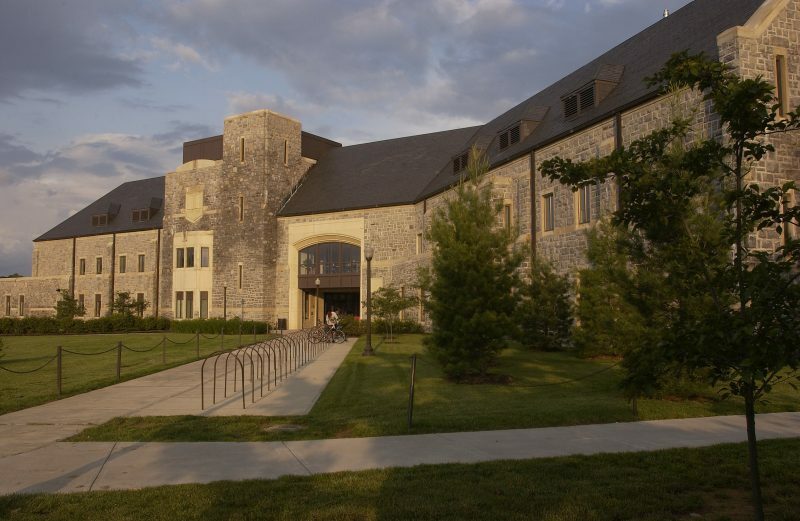 McComas Hall houses one of the gyms on campus as well as the main administrative and business offices for Recreational Sports. It is located at 895 Washington Street SW. The recreation area features two weight training areas, a cardio deck, three basketball/volleyball courts, two fitness studios, a 25-yard pool, a jogging track, locker and shower facilities, and shuffleboard, billiards, and table tennis. War Memorial Hall houses one of the gyms on campus as well as Recreational Sports administrative offices for intramural sports and sport clubs. It is located at 370 Drillfield Drive. The recreation are features a weight training area, a cardio area, four basketball/volleyball courts, a dance/group exercise room, a 25-yard pool with diving well, 12 racquetball courts, two squash courts, three wallyball courts, multi-purpose rooms, locker and shower facilities, and saunas. The Venture Out Center, home to the outdoor recreation program, is located at 205 West Roanoke Street between Otey Street and Draper Road. We have a pool in McComas Hall and War Memorial Hall to offer you multiple opportunities to swim. The Lower South Recreation Area (SRA) Fields are used for open play and intramural sports as well as being the home to our softball sport club team. There is an asphalt walking track around the perimeter of the fields that is half a mile long. The Upper South Recreation Area (SRA) Fields are used for sport club team practices and games. There are two full-sized fields that are home to our cricket, field hockey, lacrosse, rugby, and soccer teams. Recreational Sports oversees two sets of tennis courts on campus that are used for open play at any time for students, faculty, and staff.